Six new tyres have been put on 796 so she can now be towed around the UK to visit other museums and events. The LTPS have made the decision to restore 796 in two phases. The reason for this is that the condition of 796 is such that it looks as if it has just run into the depot on 10th November 1959 and has been in a time warp since then. What we want to do is present the exterior to the public for an unspecified period so that they can see how a London trolleybus ran in everyday service. So that people can travel on it, we will have to restore the inside as all the seats need to be changed and the ceilings painted. 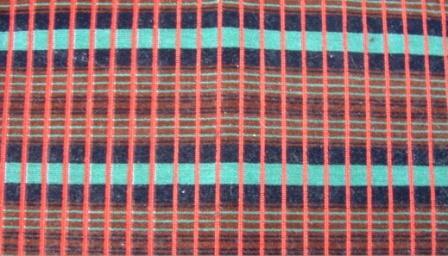 The seats will be done with RT moquette as 796 was fitted with that for many years. A number of days have been spent assessing 796's electrical and mechanical condition. Some items are in good working condition but others will need attention. Everything is there apart from the cover to the contactor panel – a new one will have to be made. A source of RT moquette has been located and this will allow all the old seat coverings to be dispensed with and replaced with new material. It is not safe to put electrical power through 796 at present. Plenty of notice will be given as to when 796 will return to service. There is a lot to report about work on 796. All of the old seats have been removed - they were so firmly fitted that it took a whole day to remove them. All the seats and cushions have been taken to a professional firm in the south of England who will put new moquette on them. We were fortunate enough to locate real RT bus moquette that was used by London Transport’s Aldenham Works - there was enough to do all the seats except the long ones - special new material is being manufactured for them. When all of this has been done the seats are going to the London Bus Company at Northfleet in Kent who are going to put all the seats back in. Before they do this they are going to remove all of the paintwork from the upper and lower deck ceilings and then repaint them. While the seats are out, small pieces of brown rexine will be glued back on to the bodywork. A good clean of the vehicle will also be done there. The half-shafts are still out, so it will be easy for 796 to be towed to Northfleet. 796 returned to Carlton Colville after off-site restoration work at Northfleet which included full reupholstering [carried out at Eastleigh] with 'RT'-style moquette and the repainting of both decks, seat frames and rear platform. The cab has not been touched as it is still looks remarkably smart and we feel it is best left in original condition. Minor repairs to the rear platform are now being carried out at Carlton Colville. New adverts are currently being sourced and the destination blinds are ready to be fitted. The traction motor was removed in early January and sent away for overhaul which was returned and refitted at the start of February. Attention has now turned to the resistors and compressor which both require attention. A general clean up 'underneath' will also take place shortly. Photographs in the Picture Gallery show 796 returning to Carlton Colville [the rear panel had been removed for remedial work]. Current progress with restoration tasks gives hope that 796 will carry passengers again in May 2012. For at least one season she will run in 'as withdrawn external condition'. This page will be regularly updated with restoration progress. Please consider adding this page to your Favourites listing.